• This report examines mortality rates in the National Academy of Sciences—National Research Council Twin Registry for twins with recorded diagnoses of schizophrenia or neurosis. The standardized mortality ratio for schizophrenia was 1.77 and resulted from elevations in both traumatic and diseaserelated deaths. In neurosis, the standardized mortality ratio was 1.30 and was due nearly entirely to elevated rates of disease-related deaths. 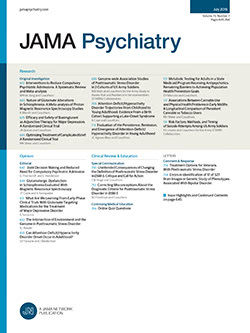 The pattern of mortality in monozygotic and dizygotic pairs discordant for schizophrenia and neurosis was consistent with the following hypotheses: (1) mortality in both disorders cannot be due to the disease state per se; (2) disease-related mortality in schizophrenia results largely from environmental factors shared by twin pairs; and (3) mortality from trauma in schizophrenia and from diseases in neurosis results largely from genetic factors. These findings must be interpreted in the context of the limitations of the registry, which include lack of standardization and incomplete ascertainment of psychiatric disorders. A review of a subsample of records indicates that schizophrenia in the registry is broadly defined and differs considerably from the narrow DSM-III concept of the disorder.